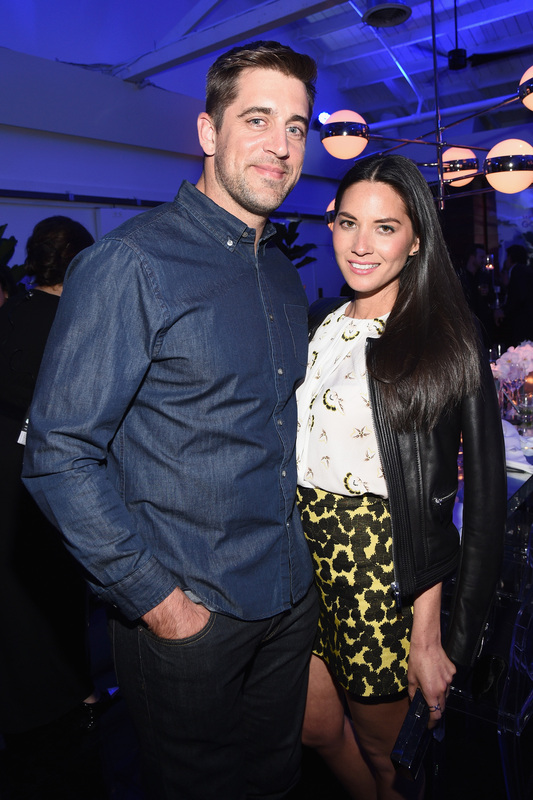 Anyone following Olivia Munn and Aaron Rodgers' relationship knows that these two score major points in the love game whenever they talk about each other or are spotted together. Though both stars are known for being relatively private, sometimes they just can't keep their mouths shut about each other. And honestly, we are all the better for it, since they always have sweet things to say. Some fans might be wondering how Olivia Munn and Aaron Rodgers met, and how such an adorable relationship came to be. As it turns out, there is a really cute and funny story behind it. What could have potentially been an awkward moment for others turned into a relationship for the comedic actress and the Green Bay Packers player. Rodgers and Munn reportedly met at the Academy of Country Music Awards in Las Vegas on April 6 of last year. Seems typical enough, right? Or as close to typical as a celeb meet-cute would be, anyway. Well, here's the scoop: when Munn met Rodgers, she had no idea who he was. During an appearance on Conan, Munn spilled: “I said, ‘So what do you do?’ And he said, ‘Oh I play football. '” Munn said she followed up with, “‘Cool. What college?’ And he’s like, ‘Oh, no. I play professional.’ And I was like, ‘Cool, what position?’ ‘Quarterback.’ ‘Cool.’ Like that was kind of it, not knowing that he’s like Super Bowl MVP or any of those things." The Newsroom star later added, "All I saw was that he was really attractive. I didn't really care what he did." Obviously, the feeling must have been mutual. I'm real happy in my relationship. And I understand what comes with it. And two, the last couple years I've learned a lot about perspective and what's important. And, that you cannot, when you've had success individually and collectively as a team and you are highlighted for the things you've done on the field and off the field, you cannot hide from the spotlight. You have to learn to embrace it. Judging by how cozy the two have been in red carpet photo ops, it seems like they have no problem doing just that. Yep. These two are total #RelationshipGoals.